I got the following from "Diary of A Singaporean Mind" I don't go out of my way to look for the facts I have missed and so far I am happy that someone will surface them for me serendipitously. I quote from below: "Singapore must make it easier for companies to lay off workers so that they would be more willing to hire them." That's from someone who has no common sense and worse thought that the economic theories from books or papers are directly usable! I shudder to think that this could be pervasive in government. 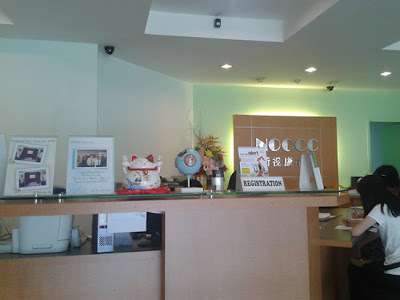 The blog writer Lucky Tan spotted it right away, and I bet many of us in executive positions in the REAL economy too. I missed the PM statement then, but I shall always remember the few occasions which Adelson displayed extreme confidence in the MBS performance against our government much more cautious outlook. I kept telling myself, this veteran in the business knows a lot that we need to know but do not. I kept wondering when it become obvious that he would screw us. I am still waiting and I hope to be wrong and disappointed: the common sense street smarts of Adelson versus the model driven, Excel worksheet based of the government. Now I am not suggesting that we should get a new PM. It isn't so simple. Just bear in mind that government leaders elsewhere are not much different. E.g., Germany's Angela Merkel just got her numbers wrong about how hard the Germans work vis a vis the Spaniards. She is also blaming Spain for the E. Coli infestation without sufficient evidence. It is just politics and ours will increasingly play it like others. So do not put your hopes too high what the government is capable of achieving. We are lucky if we do well and as usual they are fully able to explain away luck as skill. All things equal, you usually don't get a good run of luck year after year. The PM loves to use this word in his speeches and public pronouncement: "Inclusive" That is totally politico-talk. We are not a homogeneous society. It is impossible to be inclusive. Policies will favor some and punish others. While you can be inclusive when it comes to punishing everyone by favoring investors and foreigners over citizens. You can also be inclusive with populist policies, which would eventually destroy us. The right operating word in action is "trade-offs", and they have to sell it successfully to us. On this score he is failing. It has become acceptable to lie to the people but this is justified by politicians doing so everywhere. We have become like everyone else. They deserve to be treated like how politicians elsewhere are then. I remember a few years ago when the lack of requirement to pay workers a fixed proper retrenchment in the Employment Act was discussed , PM Lee was interviewed on TV and what he said I can't forget. He told the reporter that Singapore must make it easier for companies to lay off workers so that they would be more willing to hire them. Over the years, Singapore moved from a management style that treasured worker loyalty to one that hire and fire workers based on how it affected the profitability of company...very often short term profitability. Many ordinary Singapore workers became expendable in companies they worked in hired quickly and retrenched quickly when the business slows. As a Star Wars fan, as a reminder of how I had played with my car remote teasing some of my neighbors from upstairs at Pine Grove, this Volkswagen Darth Vader commercial is just neat! By now I have learned that the standard token for helping with a government related survey is the $5 Fairprice voucher. Just helped a guy representing the National Library Board to complete a survey. He told me that English proficiency here is falling and the NLB wants to understand the problem better. My take? I think like the wealth gap, it is polarizing. Evidence will keep piling up against this inane idea of nature over nurture. Lorna pointed me to this video taken by time lapse photography using a DSLR camera (Canon 5D MKII). These shots were taken in Spain. Truly awesome. 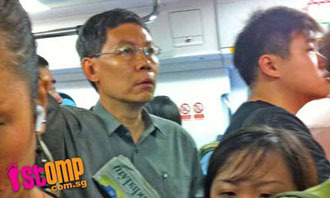 Lui Tuck Yew has been seen in our public transport system again. Each time he was photographed without chatting with commuters. I expect someone with his brains would have enough common sense to chat up those around him, optimizing his experience of the system. It is one thing to ride the system irregularly and quite another to use it everyday. Since he had missed something so obvious, I am led to think that he was there to be seen and photographed for the media just for political mileage. It is the little things that matter. They are the most telling. As usual they don't think of us as individuals but as digits. How to benefit the digits, the average person which my ex boss used to opine is absurd because shim would be half man, half woman or to be practical a sexless being. Such a commuter, no being male or female is also not old or young. The typical lacking in common sense approach of overly educated policy makers who trust their abstract reasoning too much. 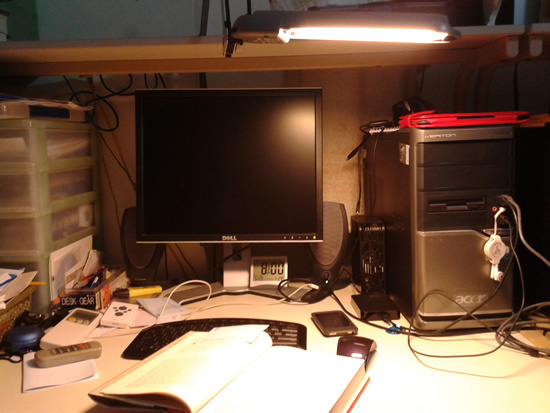 So rare that I switched off my PC. It feels good. Other devices are so Internet enabled these days, you don't need to have workhorse scale equipment humming away. It helps that ever since Acer replaced the motherboard and hard disc, Windows starts up really quickly if I need the power of a PC to get something done. I know this would not last. Detritus will accumulate in the registry, the hard disc will get fragmented over time, optimization software can only do so much. Nothing beats a complete spring cleaning of the hard disc, which is such a hassle. I wonder if Chrome Books Notebooks are any good. I am now reading David Brooks latest book, "The Social Animal" which I took from our libraries. 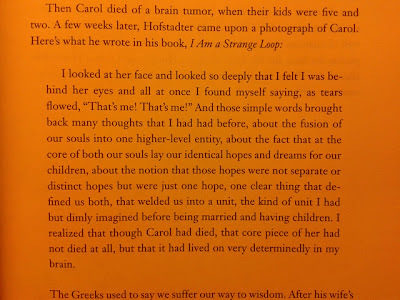 I feel particularly connected with this particular paragraph from the Introduction....we are spiritual beings! I have high hopes for this book. If I feel the need to mark it all over the place, I shall get the Kindle version except I always hate it when the paperback cost less than the Kindle version. At the back of my mind as usual is how does it connect with NaviMap. Clearly I am no longer tapping the rational and conscious to get going. After all I am working on the emergent and unpredictable isn't it? I thought I needed to wait longer. Only eight days to have this story come out in our national paper website. 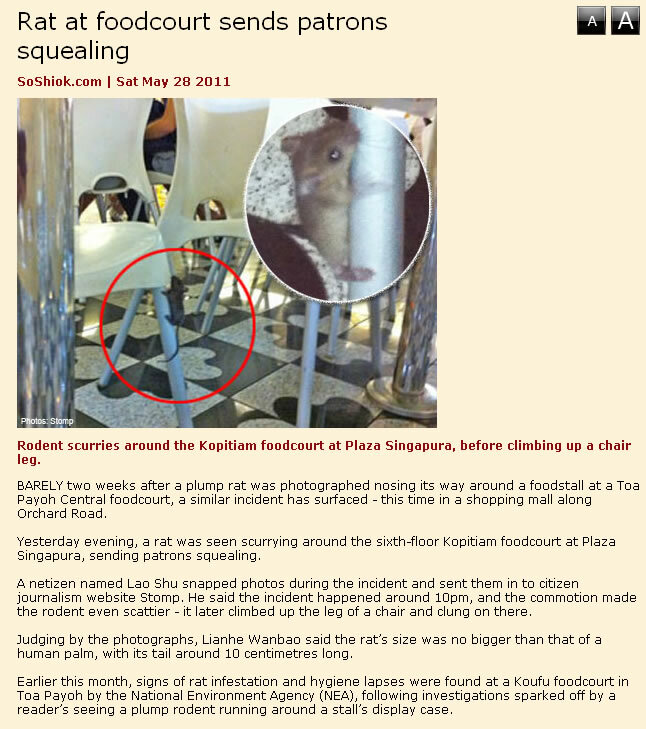 This is likely Kopitiam at Plaza Singapura. Now what you see for such things are usually only the tip of the ice berg. Standards in this fine city has been gradually falling, falling...the government is getting complacent. NEA dropped the ball because businesses under pressure will cut corners. Therefore the onus is on the relevant government agency to keep everyone on their toes otherwise they will just race to the bottom in order to earn the highest short term profits. In a constantly changing environment where opportunities come and go, how many are still thinking long term? I think a corporatist government are themselves driving down costs by senior civil servants who are disconnected with the realties of the working level and taking unacceptable risks. Not enough info, can only speculate right? Just deduce from their value system in the context of their structure, which breeds the predictable behavior. Returning to this book after completing "Velvet Elvis" and "Financial Speculation" Just finished the chapter on the cell membrane as the "true brain" of the cell and not it nucleus as we had always been thought. The role of the nucleus is like what the hard disc is to a PC: it stores the instructions, but does not decide on what instructions get used to make proteins, to determine the chain of chemical reactions. I wouldn't be surprised if the author over extend good Science into the speculative, but we must allow our imagination to run ahead of Science in order to make progress. Meanwhile whatever "Blink" ability we might have acquired unaware, I guess it can be useful here. I am not a reductionist. Has never been. So this is my kind of books. NaviMap friendly. That roach that got away this morning, my daughter found it again a while ago and we jointly destroyed it. First time I used the new spray and was surprised at its potency. Even more surprising was it smelled like air freshener. This stuff has come a long way but it also reminds me the many years my old insecticide had served us. This time we needed two sprays because she had the visual but not me. Her spray caused that creature to scurry toward me and I used this new weapon to slow it down before I could hammered it with my newspaper stick. 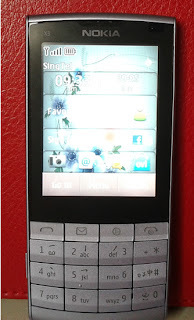 Bought a Nokia X3-02 (now only $248) for our daughter this evening replacing the phone she had about four years ago. I thought we wouldn't buy another Nokia, but this phone would just be perfect for her. Wifey is using mine now and quite happy with it except for one unmentionable feature. Shouldn't be a problem for our girl. Denise Phua shared this with us on FB. I am happy to have found the YouTube version. A beautiful love story. This is not what is common, which is using love as an excuse for something else. This is what it ought to be. I was driving on the AYE this morning when my daughter called me about a big cockroach in the bathroom. She closed the door to trap the dirty creature and waited for me to get home to deal with it. Big mistake. As expected I couldn't find and destroy it when I got back. These creatures are too fast and stealthy. If you spot one, never keep your eyes off it. Shout for someone else to bring you the implements to destroy it. Usually a stick made from rolled up newspapers and a can of insect spray to slow it down. How many times have I failed to find the damn insect only to discover that it was behind me! Now we have unwanted company in the house :-( Even if it appeared again, it might be another creature. Who knows how often they might have visited and left without our notice. They are harmless but just damn damn dirty. Where they passed is as good as a rat or worse had gone over. I checked this blog. The last close and fatal encounter for these creatures was April 20. Too soon. On average it should be several months. So glad he is offering himself as a candidate for the upcoming presidential elections. I remember how SR Nathan offered to open the safe's door to the reserves even before the government had asked. I remember how after Ong Teng Cheong, it was as good as we didn't have an executive president. Government also suffers from a willing spirit but a weak flesh. Independent checks, greater transparency would be a the right measures to overcome the weak flesh. In would be a matter of time we slide down the slippery path of corruption otherwise. It creeps up on you slowly, unnoticed until it is too late. Of all places, I found this on the FB page of Chi, a Filippino friend we got to know when we were living in Dubai. Her mom was a teacher. That could be the reason why she put it up. I am putting it up because there are such teachers in our system. Quite rare, but each one is appreciated. Each one made a difference, and I have met and worked with some of them. This has come early. I thought I wouldn't hear about her for sometime. Welcome! What is inside you is what that overcomes limitations and obstacles. Most people do not know how to tap into it. God has placed it there and you can use it even if you do not believe in him. We are made differently from the rest of creation even if we share many of its characteristics. Just completed this book which was recommended by my brother. I think all speculators and investors ought to read it. It would be like a safety map for many market participants. Even the pros are likely to learn many things. Gives me a better idea on how to deploy NaviMap too. Received an email from my friend a while ago in which he copy and pasted for me a blog entry, "Dr Lim Wee Kiat enlightens us"
By moving too quickly on ministerial pay, PM Lee risks leaving behind PAP backbenchers stuck in their old mindsets. It's a classic example of poor execution of change management. I thought the PAP leadership would have spent some (perhaps considerable) time getting their MPs on board for the change. Yep, I agree with you about the PM moving too quickly on this. There is really no need to. There is also an even bigger issue about pay they seemed to have missed. If they perform very well, and everyone is happy, nobody cares about their high pay. If they perform poorly, then even a low pay is too high. In this sense given the nature and responsibility of their jobs what Hitler had said about his generals applies. If a general is victorious, he doesn't need to explain. If he is defeated, he shouldn't be around to explain! Therefore if they think by lowering their salaries the people would be more forgiving, what they would get is between the five years they would be criticized less. In the GE, they could lose may votes or even voted out. To take a huge cut in pay just to hear less of a earful, does seem like a high price to pay isn't it? But the issue of pay goes deeper than this. High pay attract the wrong candidates, and enough human beings are good enough at pretending, no matter how careful and rigorous you are, some will get pass. That is why the Opposition have an easier time attracting the right candidates from now on. The pretenders are not attracted to try there! What a paradox. We get worse ministers when we pay them too well. Humble beginnings are the most beautiful. This remind me of Bill Hewlett and Vance Packard garage. Here we have Slyvia Lim in her first MPS. How I wished the PAP remembers and commemorate their unlikely beginnings. Instead they have grown smug. Now pride goes before a fall. This is a timeless truth. Impressive our ambassador to the US Chan Heng Chee. She knows exactly how to speak to the US audience for our sake. Since we are having ministerial pay at the top of our minds now, how much should we pay professionals like her? I think civil servants must be evaluated as professionals. Theirs is not a call to "holy orders" like the politicians. They serve as means for the politicians for our sake. We must pay them their worth and there is no conflict because unlike elected politicians they are not invested with moral authority. Political watchers in a radio discussion on Tuesday emphasised that any package proposed by the committee headed by Mr Gerard Ee must take into account what the average Singaporean earns. Why do I get the feeling that Gerard Ee's committee is going to make it very complicated? I am waiting for some genius master stroke from his gang of 9 wisemen which look like establishment figures mostly disconnected from the ground. First, keep is simple, stupid (KISS) and in doing so, if it does not satisfy the objective of attracting quality candidates then we need to pile on, which is the tricky bit. Also avoid producing formulas since none of these wisemen are clairvoyant enough to be sure the formula wouldn't produce absurd outcomes. Have more humility and convene such a committee every few years. No sane corporation would produce a hard formula and pay their senior executives to that. I am hoping for some common sense here. How to get KISS on the way? If you want the widest possible acceptance, work out our ministerial pay keeping in view how political leaders elsewhere are paid. If you don't, you are not going to get much buy in from the people. The man in the street is not a policy wonk. Given that trust has eroded badly, he is not too willing to trust you with complex reasons he cannot understand. That is why the proposition of the Minimum Wage, an extremely KISS idea would not die. Don't be afraid that if you pay too little you can't attract the right people. I am afraid stratospheric pay may be attracting the people that we do not want. These are the guys who would run the country like a corporation than for the people. In the new Singapore, politicians should not be technocrats with a mastery of the intricacies of policy making. They are representatives of the people. Those days where leaders decide and tell you what is good for us are fading away. As reps of the people, they represent us with common sense to the civil service policy makers to decide what gets implemented. Common sense is what too many admin service officers to not have because not being politicians they are often disconnected with the ground. What they have are good brains but often with the liability to be unthinking followers of some models or gurus. Politicians help policy makers in helicopters land and very good politicians inspire policy makers to imaginative and innovative solutions. If PAP ministers want to keep to their skin as technocrats, they must be prepared to run the risk of getting voted out eventually by alternatives who can hear and feel the heart beat of the people. The choice is theirs to make. In five years time, the alternative parties can only get stronger. They could be facing an "Aljunied" experience in many GRCs. At the end of the day, if we aren't happy with what Gerard Ee's committee produce, we just as happened recently, let our votes do the talking once more. Why the PM had asked Gerard Ee to do this job, I cannot understand. I thought it would be safer for the Cabinet to deliberate and take a decision on this. For goodness sake, Gerard Ee does not represent us. I don't know why he is so confident about this task. Looks like an impossible job to me. Widening income gap, there is great pressure to chase politicians pay downwards in order to identify with the people. Not careful, they could end up with numbers worse than pre-1994. Whatever for? Sounds really dumb to me. As I cannot accept that they are that dumb, they must assume enough of us are. The whole thing is just wayang or a red herring! It is too tiring to go into the details. It would take a book to do that! This is an apt reminder when we look beyond the narrow issue of paying government leaders to the whole concept of government. George Bernard Shaw summed it up best. It is a fool's errand trying to protect the people against themselves! The wise path which the PAP government hadn't countenance all these years is to educate the people in a manner and way that they deserve good government. Just look at LKY "Hard Truths". It is so dehumanizing, limiting. You came away thinking that in his mind, except for the elites and foreign talent, we are the dump of the human race, just above the animals. That we would respond to sticks and bribes, but never to reason. Needless to say, I wonder why he would even bother to publish something like this. The self defeating logic is so obvious. Yes, hubris led him to come up with a pay formula for ministers. He thought he could foresaw the future well enough. Now the whole thing looks stupid, if I may borrow one of his favorite adjectives. Yep, I didn't even finish half of "Hard Truths". Denise Phua has a very good piece on the principles of how to pay ministers and top civil servants. As she relies heavily on Charles Handy's ideas, which is more a management philosopher than a doer, putting them in practice is going to be darn hard. In the end, there will not be a perfect solution to the issue of pay. A society must decide but in reality the elite decide their own pay everywhere and often in quite complex and sophisticated ways. Some pay are deferred especially in large corporations and yet others open doors to highly remunerative opportunities in speaking opportunities and memoirs writing after leaving office. What they all have in common is that society has not so much decide how leaders are paid than they have learned to tolerate them. And that tolerance can be shocking when you consider the corrupt legacies of most countries with undemocratically elected leaders. I think no ministers should be paid less than a highly able university professor. I safely bet that this is their lowest "market value" upon leaving office. In this way, we have established a base and now how do we scale up? There is an easy solution actually, and a surprisingly simple one. Ask each minister to name his pay! A wise potential minister would have grasped the concept of 'enough' as per Charles Handy definition alluded to by Denise Phua. If he or she doesn't even possess such wisdom, I don't think he ought to make ministerial rank and responsibility. Now if he ask for the sky, we know that is politically untenable and he is better off staying in his current job. Sometimes, there will be some lucky and highly talented people who doesn't need to be paid at all because they already made or inherited enough. There will be special cases where the leader has a very severe family background and need the money to help with his situation at home. Whatever it is no minister should be paid less than a good tenured professor. Finally, this must be one of my silliest blog entry. Of course somehow in the end the elite will pay themselves as much as the rest of society will bear. Gerard Ee's committee deliberations are only for rationalizations. There are uncountable ways to go about it. Silently, privately the real work is working out numbers that would not invite voters' anger. The skill is to get that number as high as possible since even a hundred times that number, the country can easily afford. What was politically correct about ministers' pay is now politically incorrect. Their pay will suffer a huge fall, but in essence not much might have changed in thinking and motivations. I dearly wished I am wrong. I would be most happy to be wrong. I am just trying to be real and yet hopeful about ideals. After meeting an old friend this morning who had discussed the above with me, here are some of my thoughts on the subject. I suppose the government sanctioned plan is affordable but pay out too little to be meaningful isn't it? Translated, it means most of us cannot afford to be disabled. Good thing only a few would be visited by such a calamity. Bad thing you do not know if you had been selected. Therefore if you can afford it, you need to top up what Eldershield is providing. Now I need to look at the $$$ tables and decide on the trade-offs I can live with. In the end it would be an art. The dumb work is in the maths. I am going to discuss the Aviva offerings with wifey later. A happy shot of WP MPs wth LKY from Chen Show Mao's page. We will remember LTK's promise to be a responsible opposition in parliament. I think they will live up to that to a large degree. Nobody knows what a first world parliament is. They are going to show it to us. 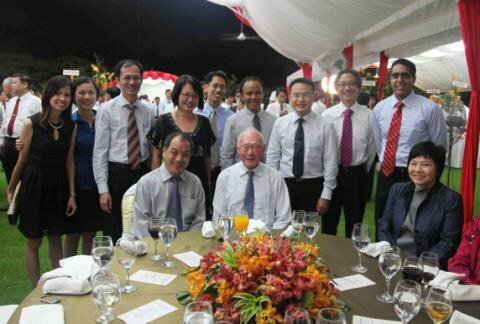 To have a group photo with LKY, all smiling is a very good start. 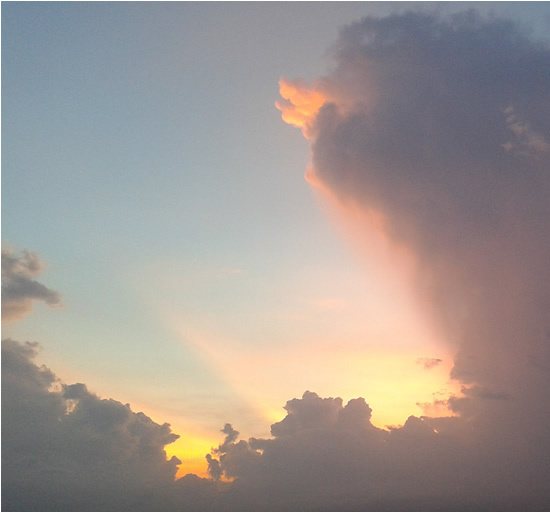 Began today with a simply lovely sunrise outside my bedroom window :-) It rained heavily not once but twice later. A welcome respite from the heat. Accompanied wifey for her annual check. So many photos of happy babies! More things medical. Eye check for two of them in the afternoon. How hygiene standards at Kopitiam food court has fallen. I finally got so fed up and took this picture. 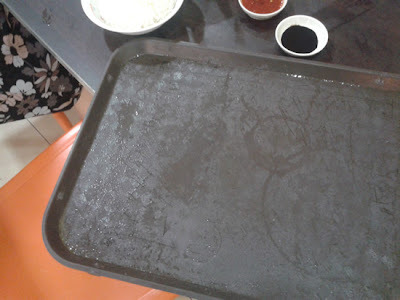 The trays are often wet and oily. Surely many people must have complained. What is the NEA doing? 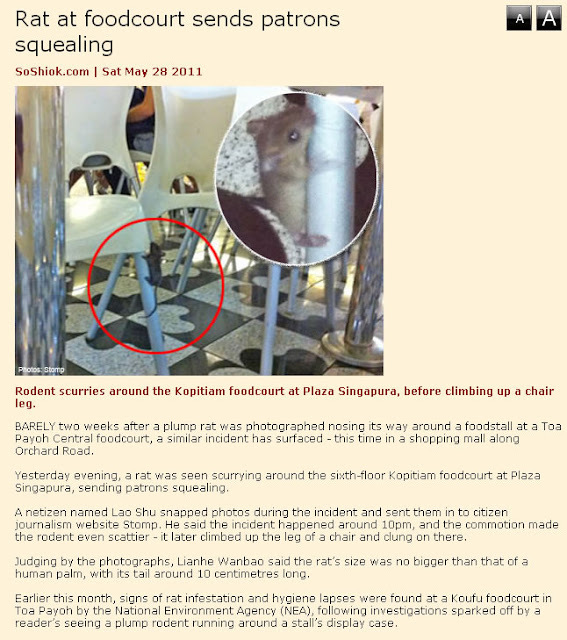 Want another bold rat incident? We bumped into Sarah and her parents next door at Popular later. Happy to see them. The Japanese never learnt the lessons about their cross holdings. For many years when they were strong, it worked wonderfully for them. It is dead weight when they are down. I suppose they are still strong enough to hold out even if they only get weaker from all these. The strengths and weaknesses of their kereitsu system are identical to the PAP GRC system. It is prone to catastrophic failure. I told one of the ministers after exchanging a few emails with him to check with his colleagues who are more familiar with economics and finance. I assume they have boned up on Nassim Taleb ideas, which aren't new actually - Nothing in finance is new, only the clothings are. The PAP will change, but transformation to the degree that they will even cut their own salaries as MOS Tan Chuan Jin suggested as possible, I will believe when I see it. Like their system of cross holding promote weak corporate governance; it has made it possible for Tin Pei Ling to sail into parliament. Now if the PAP would dismantle the GRC system, they run the risk of many MPs losing their seats at the next GE. These are the weak MPs who needed the protection. Would it be nation above party interests? A FB friend shared this and I read it. I was duly impressed but somehow sensed that there is something very wrong about it. Took me two days to pin it down as my subconscious mulled over it. Then I wrote to my friend, who was also very impressed, a very smart person who used to worked for Dr. Goh as follows. I felt there was something very basic and wrong about the well thought article this former admin service officer had written but I couldn't pin it down until this morning. The whole article in one word was [clipped]. First class intellect yes, but without old fashioned common sense. Was too academic, too caught up with theory. 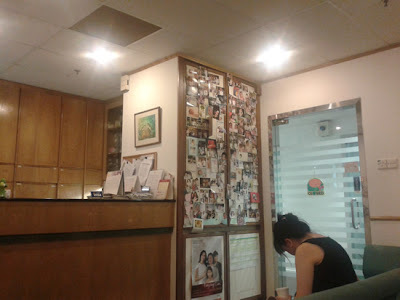 Pity Dr. Goh wasn't around to scold them.....that was why I rumbled away about the same ideas I had which the guy had written about, my skepticism on how they can be used....incubating in my subconscious I got it. It is always harder for me since I do not have the burden of responsibility. I have the luxury of indulging the intellect without concern for its practical application. Also so few readers can point out the flaws. I can hide behind their ignorance. A whole generation of policy makers need common sense training. Who is going to do that job? I copy and pasted the following from the papers this morning. There are lessons here from MP Low for policy makers and the sitting government on how to make decisions. Learn from Low Thia Khiang how he had decided to contest in Aljunied instead of staying with safe Hougang. I can't resist jumping the gun here as I am often impatient about writing too much. Low Thia Khiang represents the ideas Anthony Robbins had been preaching all these years. Lee Kuan Yew is the polar opposite but to many people couldn't tell because the man is just too brilliant to cover it up. Policy makers will often be faced with equally attractive or dismal options. Which option is the right one? That must be answered by your values and the destination you want to bring your people. Low Thia Khiang has that. On the other hand Lee Kuan Yew was too preoccupied with preserving his legacy of Singapore and taking as few risks as possible such that he is only brilliant on issues where our backs are against the wall. A good example would be our challenge of securing sufficient water for ourselves and the solution the world famously know - New Water. Life is about growth and Anthony Robbins recognized that. As for LKY, he tried to persuade us to lower our aspirations to become realistic that it becomes unattractive and boring. 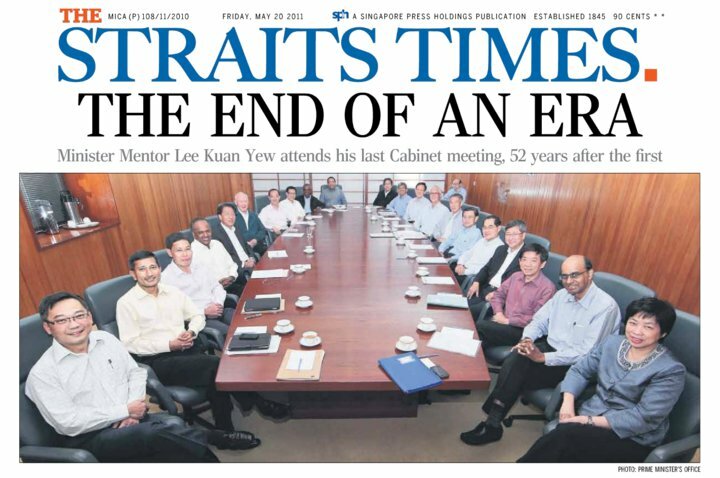 Then the younger leaders had to re-jig it with F1, the two IRs etc., They used all their brilliance in an uphill struggle to keep LKY legacy alive. They had forgotten the most important advice from Dr. Goh when he retired. He made sure citizens heard the advice had given them. We were caterpillars and now we are butterflies drying our wings. LKY reminded that we were caterpillars. If we bought his beliefs (mostly these rather than scientific fact) we will never fly. At most only the elites can take to the sky, the rest of us we were told not to waste our time. As no growth equates to death, he was stupid (a word he likes to use on others) even think, much less suggest that. Of course, with his usual cleverness he would disclaim that. You know how dead his idea of growth is? Overwhelmed, the usually jocular Mr Low left the meeting room at the Hougang Town Council office for 10 minutes to compose himself. When he returned, he said he wanted the interview to continue outside the office. 'I miss a lot of things in Hougang, but I have to move on,' (Yes!, must grow, that's life)said Mr Low, 54. A key factor in his anguish (growth is often risky and painful) was the opposition he faced from detractors of his GRC bid, with some telling him pointedly to his face that should he fail, he would become a 'li shi jui ren'. The Chinese saying loosely means 'a sinner in historical records'. They felt his action could land Singapore with no elected opposition MP, as both he and long-serving Potong Pasir MP Chiam See Tong were leaving their strongholds to contest in GRCs. But Mr Low persisted as he believed (we must follow leaders with beliefs we identify with) a GRC win was necessary for the opposition to play an effective, long-term role in Parliament, as a check on the ruling party or in forming an alternative government in the future. He also believed he would be shortchanging the people of Hougang and their aspirations, had he stayed put. What is leadership? It is to take a people on a path they wish to go but on their own they could not. The icon of leadership for me is Moses. The PAP government as of now is not making our society into one where many of us are happy to end up with. Common sense. Who would want their country to become one big hotel for foreigners where they are servants and second class citizens? The PAP was stupid but also so clever at rationalizing their stupidity. Many citizens cannot beat them in debates but their feel it in their hearts. The WP will be their effective voice in parliament. If they have any common sense left, they would lift the party whip. In the end we are a very lucky country. We have one of the best education systems in the world if you ask any educator. Now if you ask the employers below is the result. Admittedly it is far worse in China and India. So how should we measure ourselves? To be practical and realistic, we have ways to go isn't it? From first hand experience, hiring practice here doesn't help to solve the problem. A government that allows employers to bring in FTs at the drop of the hat does not reward employers for trying harder, much less incentivized to be creative in their approach. Big companies set up in-house universities. What does that tell you? In an email to my daughters I told them that their education continue even after finishing school, especially the first few years of graduation. One of the GLC wifey was with for a while, the quality of management was so bad that they kept losing employees. Early in my career when I was with a GLC, it was the same experience. The problem could be internal instead of external. Professional recruitment have become stupidly commoditized. My sister told me about clueless headhunters matching clients' requirements by ticking them off against job seekers resume. Even a computer can do that. What value added? I have also noticed that frequently the lowest IQ department in a company is the HR department. These are the places where you don't need productivity improvement, which would only serve to make a bad problem worse. You need a transformation. As for policy makers and politicians who have led us down this path, they are conceptually brilliant but out of touch with reality and often simply lack common sense. Policies inevitably become honest mistakes but there are far too many to admit. Better borrow some of the insight from "swarm intelligence". The article from AsiaOne this morning that had provoked me to write the above. ALMOST half of employers in Singapore have problems filling vacancies in their companies, according to a survey conducted by a human resource firm. Up to 44 per cent of employers have found it difficult to fill critical positions, said ManpowerGroup in a press release on Friday. Found this at George Yeo's page - Thank you! This one is for keeps. From here Singapore enters a new era. I am glad that my initial doubts about their ability to transform themselves were too negative. This is just a tiny example of what it means to be Chinese. The government wants to control bank lending, and obviously with the usual measures like done anywhere in the world. The business people have ways to get around as uncovered by WSJ. 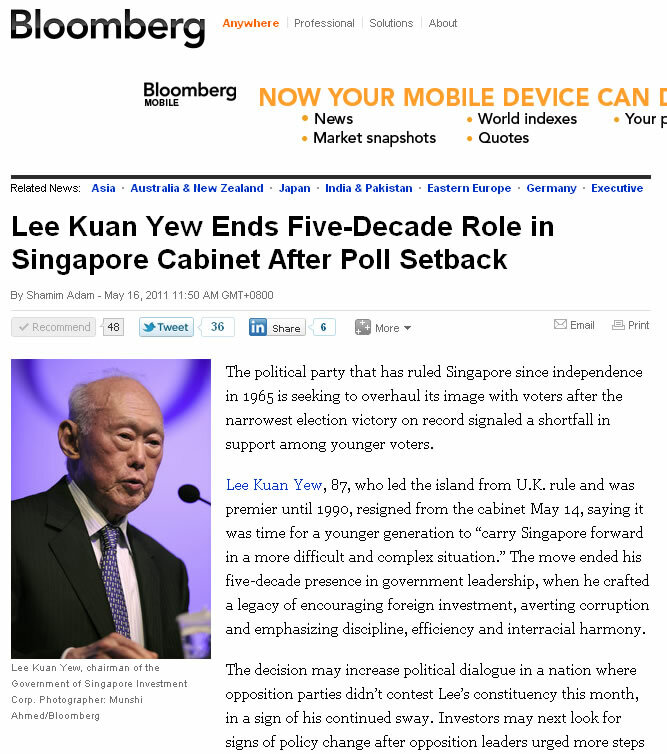 Off LKY's yoke, Singapore with a Chinese majority population will have its own creative surprise in time to come. 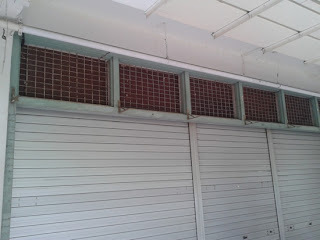 Was supposed to meet up with Leng Yian this morning at Shaw House to pick over the business plan for the mushroom farm. As luck would have it, a major dental filling fell out as I was rinsing my mouth early this morning. No fun trying to get the dentist to help at the last minute. $87.70 for the traditional refill on my right upper molar. The kids are more fortunate. We made sure they took care of their teeth from very young. Will have to catch up with Leng Yian next week. A busy week. 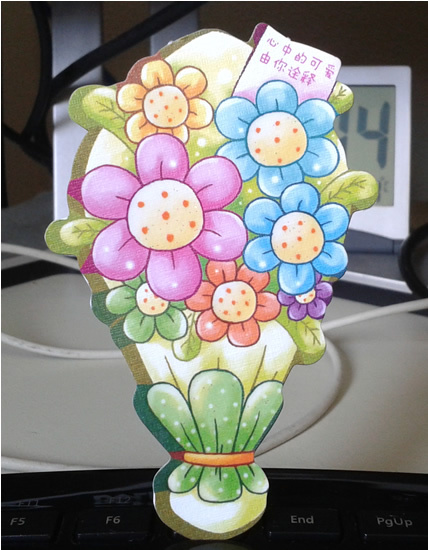 A nice token from her teacher for topping biology in her class. She asked me if this is a big deal. I told her it is a bigger deal than failing, getting average marks or high marks. On its own, it is not a big deal. Even if you gain a Nobel, it is not a big deal. Of course it is bigger deal than not having gained it. The whole idea is to do well in as many things as possible because if you master them, you will be able to use them for hers and others sake. People joked about returning to the teacher what they had learnt after leaving, but that it the result of not knowing it well enough to make it useful. What's the big deal then? To know that special hidden treasure in the field, and to sell everything to buy that field to obtain that treasure. 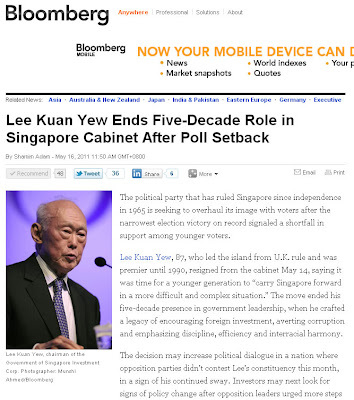 Received this from the FT.com yesterday and was also thinking about the way forward for Singapore. Hadn't we been first rate students of conventional wisdom? Weren't we lucky that running the ship of state though very tough is never as fast or brutal as the financial markets? And if you wonder why things have anyway become so complex, tough and unpredictable that is because the tail is now wagging the dog. It should be the other way round right? But these days, the world economy and politics march to the tempo of financial markets. We have lost control and have no courage to take it back. Well, they can help by making a good example of Goldman Sachs. Adopting best practice is the sure way to work the hardest for the sake of feeling safe. Very tiring. Much better to understand the world better than anyone else, frighten them with taking risks which we know are actually not that risky. That would be replicating the boldness of our early days when we leap frogged the region using MNCs. Naturally to have the same spirit and achieve the equivalent results, we mustn't be using the MNCs this time. For the moment we are bereft of ideas. We have a new Cabinet and I think it is the best we could hope for at the moment. I had liked the concept of complex adaptive behavior but I fear it is too theoretical and at risk of being a candidate of conventional wisdom tomorrow. Well, as long as it isn't conventional wisdom yet, it is potentially useful. As an asset manager, I’ve come to view conventional wisdom as the surest path to investment underperformance. One might even amend the old Wall Street saying to read: bulls make money, bears make money, but conventional wisdom gets slaughtered. Consensus opinion is generally a sign to get on the other side of the trade. Pity the background light caused my phone camera not to show more. 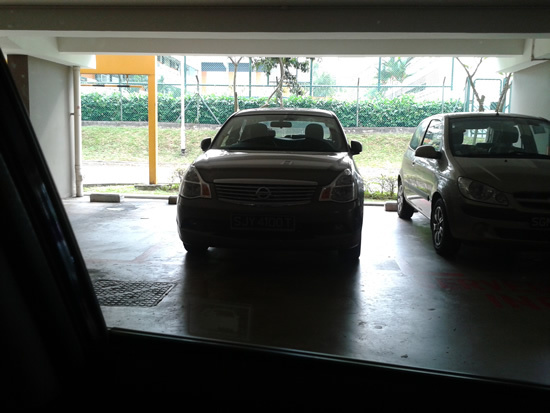 That is SJY 4001 T, the car driven by to be retired MP from Tanjong Pagar, Koo Tsai Kee. This is the second time I caught him speeding in the car park (dangerous driving) and so I am making a record of it here. 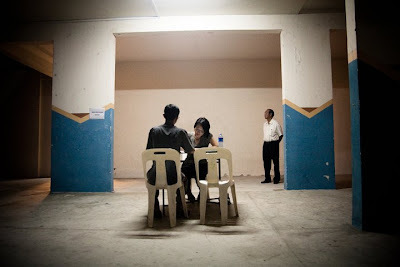 Not very difficult these days to find unexemplary behavior from PAP MPs eh? By the way, he parked at a season lot. I don't believe he lives here. Now I suddenly remember. Once I saw See Ai Mee parked along Jalan Jelita. That road is frequently visited by the TP then. I wondered why she risked it. Very unhappy to receive a string of subpar results from my daughter. She doesn't need to work harder. She needs to be more driven and determined in a terribly flawed system the government is so proud of but many informed parents know better. Well there is plenty of time to achieve outstanding results. A neccessary evil. Also need to set the bar higher, but it is such a pain. Watching so many clueless ones toiling away to excellent results but fail to see the system liabilities and limitations. The recent New Yorker article by a Korean American should open to eyes of at least a few. 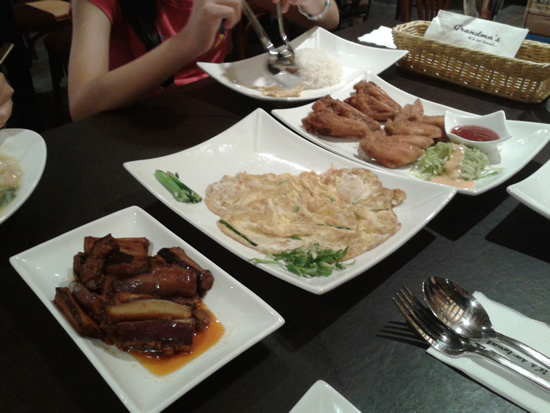 Dinner was at Grandma's @ Raffles City last night. First time there. Had planned to go to Kenny Rogers but changed our minds last minute. Was roaming about the basement and decided on this place. Verdict: "so so". As usual we ordered what the kids would eat from their very narrow menu. Don't think we would be back. 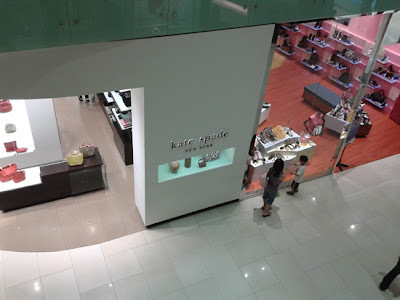 Spotted Kate Spade @ Raffles City outlet last evening. Never recognized that name until Tin Pei Ling entered into the public notice on a PAP ticket. I bet the negative publicity must have hurt sales. This is the sort of bad luck which you have absolutely no control over. You can only hope it goes away as quickly as possible. The ebill just arrived for this month. About $140, an estimated bill. So our carbon foot print is smaller than the average. That's good. Would the average trend down? Lucky for this island if it didn't go the other way. Investing in an Inverter Aircon system paid off. Singapore is a small place and struggles to be noticed and prominent so that it would be taken seriously. The retirement of MM and SM aren't big news to the global media. I haven't found any foreign organization giving it more space beyond what Bloomberg has given. In a way this is good so that we can get on with our change process without too much attention. We can do with less for the moment. When we are ready again, we would love the attention. A friend visiting Beijing told me that it was front page news over there. Just uploaded this to YouTube. A celebration of Spring! Last week I saw them moving books into boxes as I passed by. This week the signboard is removed from what I can see as I drove by a couple of times. Pity if they decide to cease operations. We go there regularly to buy those cute bears of the children's teachers come Teachers' Day every year. 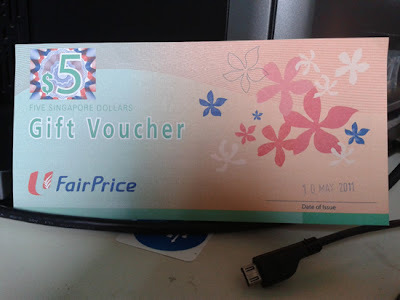 Now why don't Singapore Pools move away. That would be most welcome. Finally passed her today (May 16) and took a picture of the shop. Notice there is no to let or for sale sign. Wonder why blogger assign this post to May 16? I was just updating it. It ought to have kept the original date. Got this as a pps from Martin Gilbert this morning in my inbox. I thought it might be available on slideshare and it was. You don't get music there but you can imagine they were accompanied by Julio Iglesias, "To All the Girls I have loved before". I just wonder how each of these beautiful women cope with losing their looks. You know the inner beauty oft talked about, the advice to invest in it, people forget that this is not money or time; you can't invest but you can sure invest to pretend you have inner beauty. I think many do and they are careful to move in the right circles so their bluff would never be exposed. In the company of other pretenders, that is the safest. Remember the story of the Emperor's new clothes? You never know! God has given us history to show us that we often have to learn the hard way. His grace is sufficient even. This is yet another one of those things which I have occasional thoughts about but never need to research the information because with a little patience, a fresh story will avail itself - Dominique Strauss Kahn, the chief of IMF. Such guys are a dime in a dozen I was told many times. I don't move in their circles, so I don't know. The point is power and position are easily abused. As the squeaky clean LKY leaves the scene we must heighten further the need for transparency and accountability. I can't imagine any other PM having the same high standards and sharp focus as this legend. So in his absence we must have new measures and procedures rigorously enforced. Right now DSK is probably sitting in some jail in NY. Good luck to him. Many wrongdoings but only one is needed to pin you down. Glad you aren't going to be the president of France ever. Well that's not my business, which is together with all others here, make sure such types never even get into parliament. He has a long history of sexual indiscretions. And he sure received oversized prominence in our papers this morning. I got this book from our public library. What a gem it is. In so many ways, I feel that I was reading myself even when I have only gone one fifth way of this book. It is good to have company when on your own, over the years you felt that you have been led down paths different from the familiar preaching of the pulpits I have become familiar. One of the effects is shown in my angry posting about Vivian Balakrishnan. Yet another one would be my entry under "faith in tolerance" in early April. 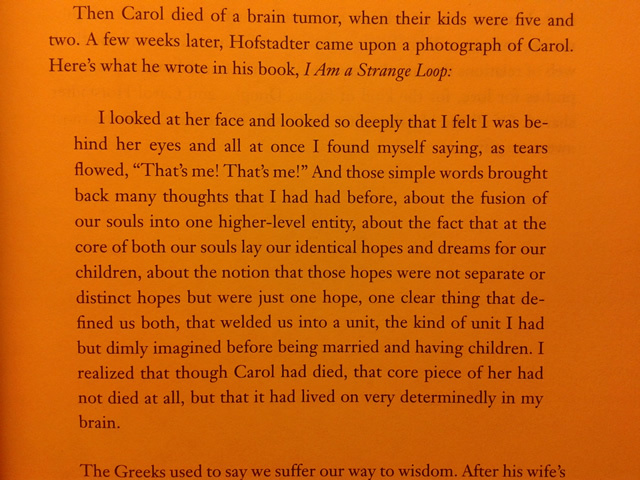 The early pages of the books already resonates with me the stuff I often explain to the kids on most weekends. All the copies are available. Would be better if they were checked out. Had recommended it to some people but they are probably not persuaded. I am not surprised at all. This is just so us. 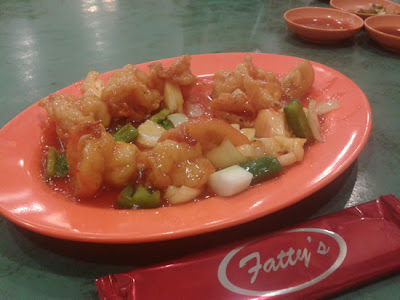 Fatty's @ Burlington Square serves very tasty sweet n sour prawns. From today, we upgrade to the medium plate. We have started to come here more often again. It was a weekly regular with my in laws before the kids came. Wonder why in the intervening years we had avoided coming. They used to located across the street at Albert Complex which now occupied by OG. Just found this in Sunday Times minutes ago. The good secretary was talking about China but my thoughts are on what is happening in Singapore. 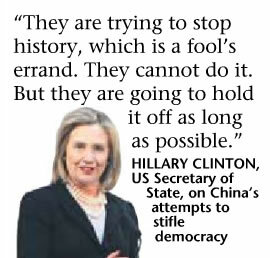 Yes, if we refuse to grow, like the Chinese are doing (more like they want to grow some parts of their body but not others) Hillary Clinton is right. I hope what we are trying to do is realize Obama's version of government even when he was a senator and tried unsuccessfully when he became president. MM and SM had built a foundation for us to build from to achieve a local version of open government. So we move from being a Cray supercomputer to becoming massively parallel. We don't grow this way, our government will remain clueless about the future like it had in the last few years. The world becomes more complex, and using new organizational strategies and the Internet infrastructure, going "massively parallel" is how we can adapt and overcome our challenges successfully. In fact, it is the smart way going forward to have a better and more interesting lives for our children. If we succeed at pulling this off, we will enhance our relevance to America and China furthering our security and prosperity. With MM presence, nobody from here can emerge as a giant who will make and fill his or her giant shoes. May be Obama will come and take a look at how we do it and bring it back to pressure his government. Provided we succeed. We need to recreate the Singapore brand. My American friend left me this message on facebook. I wouldn't have known how investor Jim Rogers is feeling so soon except for her. Here is what she posted. 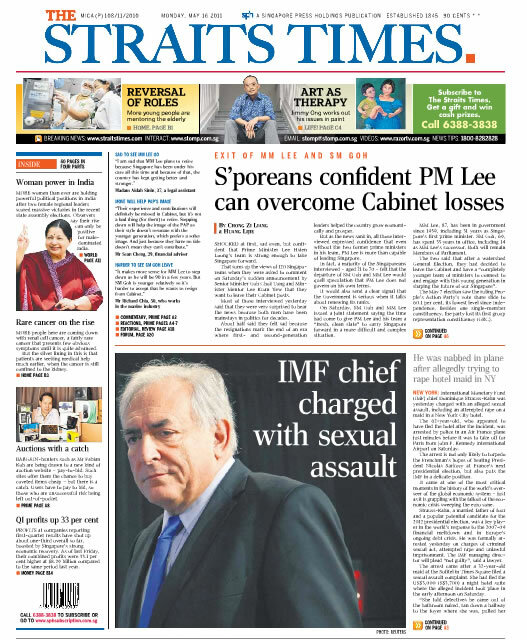 Joani Weiss Jim Rogers said that it is not a good thing when the old Singapore government starts to leave...looks like it is starting to transpire. Investors hates risks that is beyond their comfort zone. Political risk is one of the worse, which is to unpredictable to them. We also do not like discontinuous change but such events will happen in any nation's history. They are always unplanned and the best one could do is not to be naive about it and always be vigilant. Such a time has arrived for us. How our nation was born will always define the path it takes into the future. Versions, which I hope are less scary as those of the sixties will always visit us and we have to successfully overcome them. Our location, its surrounding geography and our small size makes this all but certain. Our small size dictates that we have an adequate military to back up our diplomacy. I am glad this is ingrained in our population, but I am also surprised some opposition parties don't get it. They will get a good education from the voters on this one. Investors time horizon are almost always shorter than ours. E.g., they think of rising real estate prices, we think if our kids can afford them. Looking out toward different time scales cause us to act differently. Since we need their helpful presence here, we must return to stability as soon as possible but without shortchanging ourselves. That was the mistake of the PAP government. It has forgotten to put Singapore first. It might have sold to themselves that it was for the long term, but that case was not workable. They had forgotten market forces would not redistribute wealth. Government distribution is bad no matter how enlightened or clever it cannot help people regain the dignity of earning their own living. I can't find any news articles about anxious foreign investors here. Perhaps the media is mostly liberal than pro-business. It would become clearer in the days ahead. The way the news is breaking and spreading everywhere, does the PM has a choice any more whether to accept their departure? Didn't he grasp the context that would emerge? It is important that a PM is able to do this. His job is to see further, warn us and get everyone to ride in the correction direction.